With ÖLFLEX® SERVO 7TCE, LAPP combines quality servo motor connection with the benefits of tray cable to manufacturers. It is ideally suited to mounting either in equipment or in cable tray, eliminating the need for two types of cable in a single run while still adhering to NEC code. Keep things simple. 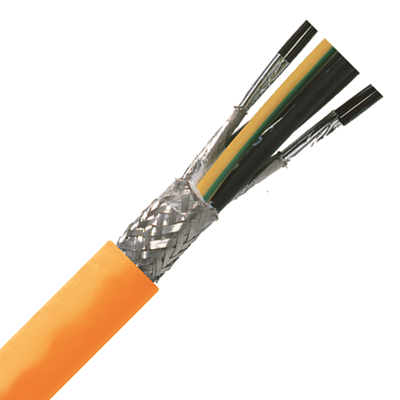 Insulation material with poor dielectric properties can break down over the lifetime of your cable, resulting in increased capacitance and voltage drops. This problem becomes even more apparent over longer cable runs. ÖLFLEX® SERVO 7TCE is designed with XLPE insulation – an excellent dielectric material that insulates the conductors to minimize current leakage and capacitance. 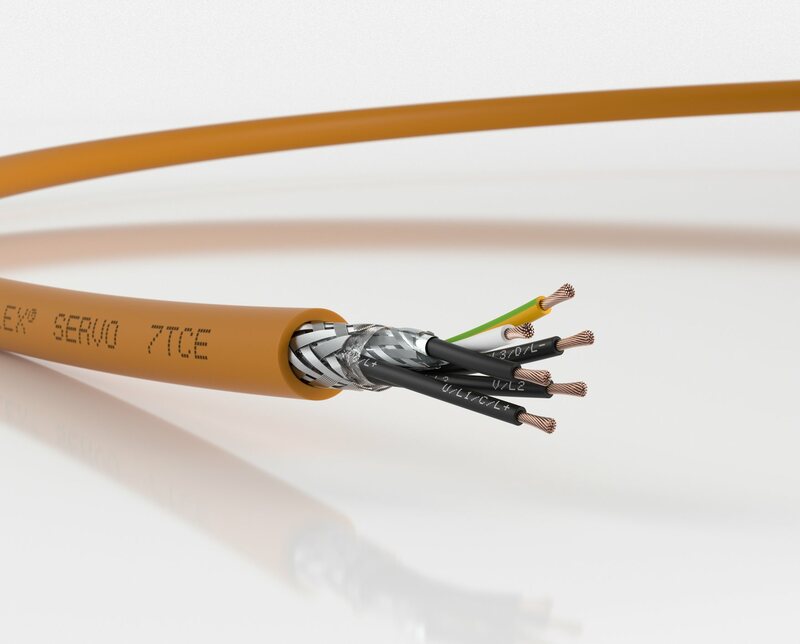 This cable design, combined with the UL TC-ER rating, proves that ÖLFLEX® SERVO 7TCE can go the distance. Because ÖLFLEX® SERVO 7TCE is rated UL TC-ER, labor-intensive, costly conduit is a thing of the past. Final termination to equipment can also be exposed with minimal support. Properly installing servo motors & drives requires both technical know-how and the right components to minimize EMC issues and reduce downtime. LAPP's range of servo cables, glands, and connectors are specially designed to create reliable connections for your servo installation. Save time and money by increasing your machine's overall efficiency with LAPP's entire servo cabling offering. ÖLFLEX® SERVO 7TCE is designed specifically to perform in servo applications where tray routing can also be a requirement. It is flexibility and functionality in one versatile cable — just what you expect from LAPP innovation. But don't take our word for it. We want to send you a free sample of ÖLFLEX® SERVO 7TCE so you can see for yourself.